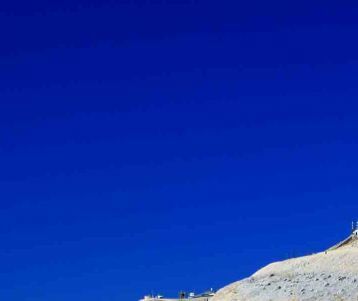 Have a look at our page devoted to Mont Ventoux ! 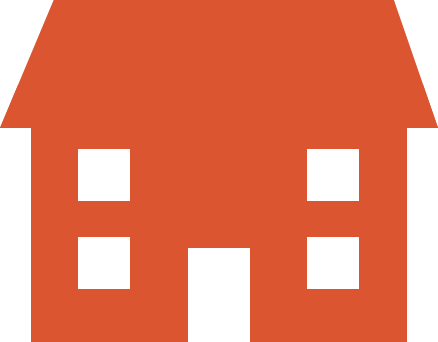 The Mont Ventoux climb is a mecca for amateur cyclists all around the world, often touted as the most difficult climb by bicycle in France, and made famous by the Tour de France cycling race. 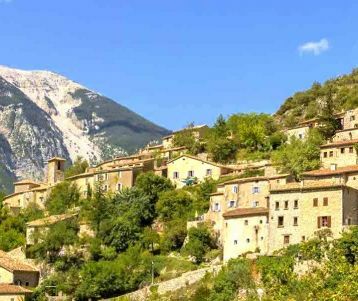 Experience cycling Provence's Mont Ventoux on a 3 day week end – 4 days if you have time - an extra day to enjoy the tour of the Mont Ventoux via Sault. 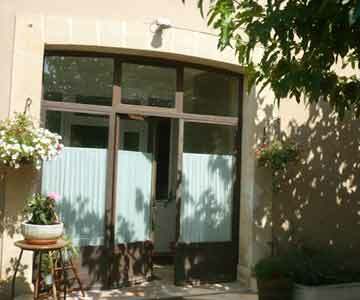 for PRESTIGE accommodation: you'll be transferred to Mazan, just 10km from Bedoin. Night in Mazan during your stay. 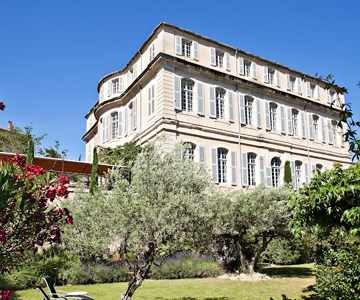 We recommend : have an extra night in the beautiful medieval city of Avignon, with the famous Pope’s palace ! From Bedoin, the summit is a vertical mille from Bedoin. With an average grade of 7.5%, you climb on roads starting from Mediterranean flora all the way to the moonscape that covers the top. The first 5km are the easiest : a moderate uphill through the vineyards and orchards, passing the hamlet of Sainte Colombe. Then, as oak, cedar and then beech forests appear along the road, the climb becomes steeper, before reaching Chalet Reynard. The tower then comes into view, and the forests give way to bare rock with 6km left to the summit. 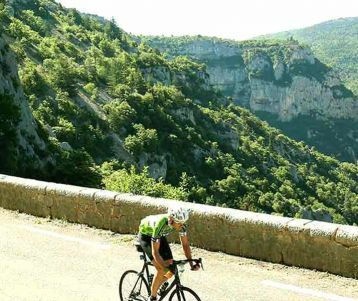 - Descent via the spectacular Gorges de la nesque, adding an extra 35km = total of 90km with lots of freewheeling descent ! You can enjoy a leisurely bike ride this morning, through the vines and cherry orchards that blanket the plains. 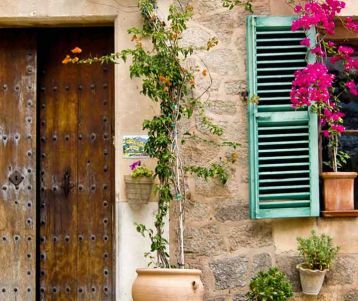 A beautiful loop through the wines roads country, discovering Beaumes de Venise and its famous wine, exploring villages hidden in the countryside like Crillon le Brave, Lafare and Suzette. Return via the easy climb of the Col de la Madeleine, with wide-sweeping views of the Rhône valley before descending to Bedoin. Transfer from Bedoin to Avignon. End of your trip in Avignon. OPTIONAL : extra cycling in the lavander region ! At the foot of Mont Ventoux, this majestic Chateau - once the dwelling of the infamous Marquis de Sade - was built circa 1720, during France's early Regency Period. It was here, in 1772, that the Marquis organized the very first Theatre Festival in France. 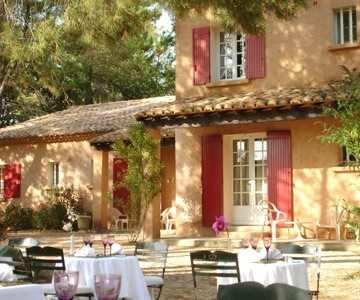 The hotel - located in the heart of the village, at the foot of the Mt Ventoux - a swimming poll, and all rooms and suites have a view on the flowered garden. 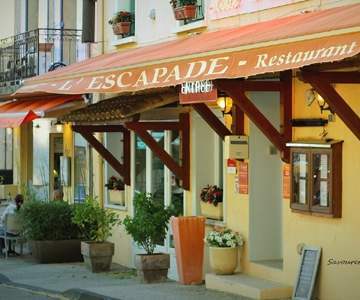 The gastronmic restaurant proposes a traditionnal provencal cuisine. 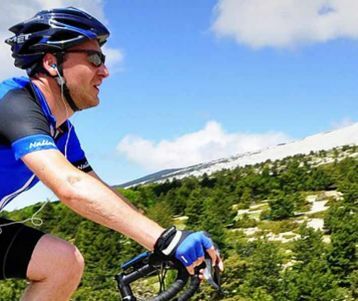 This is the perfect holiday to climb the Mont Ventoux with a carbon bike !